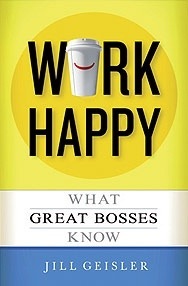 Management guru Jill Geisler provides a practical guide based on real-world experience, thorough research and lessons that will transform managers and their teams. Employing a workshop-in-a-book concept, Work Happy is designed to produce positive and lasting results. This is great tool for aspiring leaders and even an experienced manager as it takes management skills to the next level and proves that leadership and life at work can be made so much more fun.